Greens is a gourmet vegetarian restaurant located in San Francisco, CA's Fort Mason. The first two photos were taken by a member of Urinal Dot Net staff in 2001. At that time, Greens featured this uncommon pairing of a standard Kohler installation with the very unique fixture seen on the left. 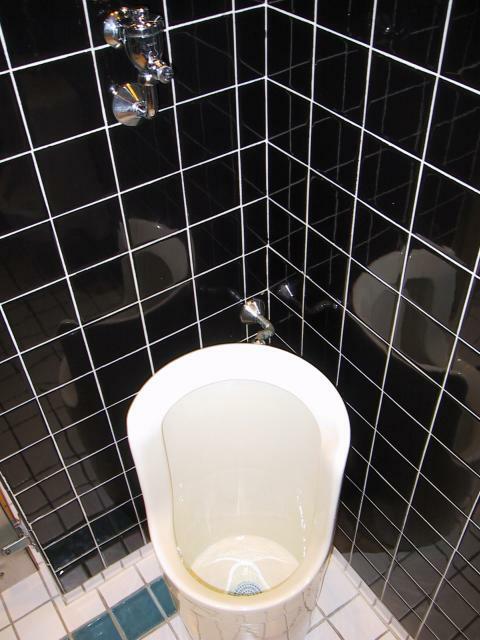 Here's another look at this remarkable urinal from 2001. This blurry photo was sent in by marx676ss in 2012. 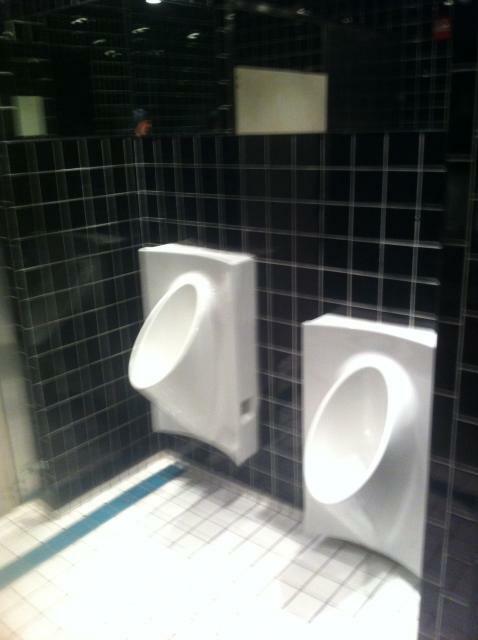 He writes: "I have a pic for you of the new urinals at Greens. 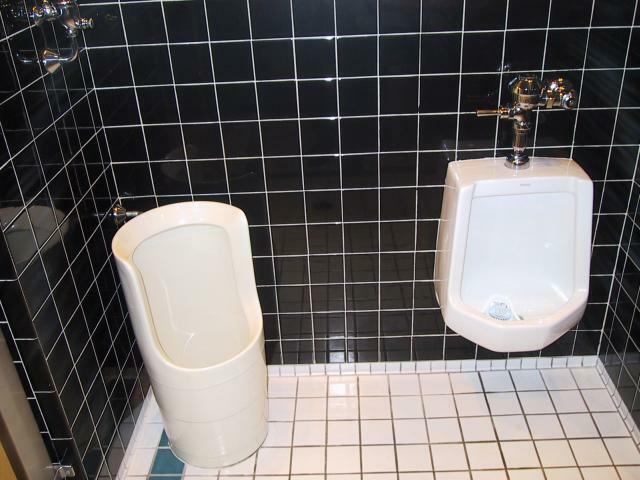 [I] went there yesterday and wanted to try out the unique urinal they had there and it was gone"